Whom does the theologian serve? In a certain sense, it’s an easy question to answer: the theologian serves God and neighbor. One of the most influential responses to this question is David Tracy’s public theology model. 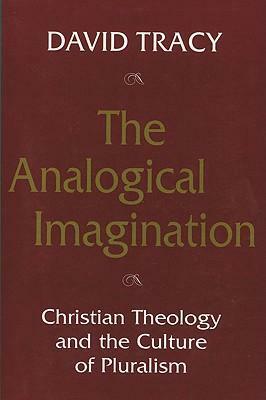 In the first chapter of The Analogical Imagination , Tracy argues that the theologian is in fact responsible to three publics: the wider society, the academy, and the church. The wider society is itself subdivided into three “realms.” First among these is what Tracy calls the techno-economic realm, which consists of the structures within society responsible for the allocation of goods and services (AI 7). In this realm, the main way of reasoning is instrumental reason, which means that decisions are made “to determine rational means for a determined end” (AI 8). The second realm is the polity or political realm, in which the focus is on the best use of power/force with the goal of establishing justice in society. At this level, members of society use practical reason to question what justice is and what are the most ethical means to pursue that justice. The third realm is what Tracy calls the cultural realm. On this level, the focus is on symbolic expressions of the society that “express the meaning and values of individual, group, and communal existence” (AI 7). The two dominant expressions of the realm of culture are art and religion, as these are central mediators of symbolic expression. The second public is the academy. This public is marked especially by norms for what constitutes legitimate criteria, evidence, and argument. The goal of the academy is to further the intellectual advancement and well-being of the society in which it is situated (and, in this sense, the academy is a part of the broader society). Thus the academy includes not only theology and the humanities, but the social and natural sciences, more practical vocations, and so forth. The third public is the church. As a sociological reality, Tracy describes the church as a voluntary association that is both communal and institutional. Like the other two publics, the church has its own set of standards for arguments, criteria, and so forth. The social impact of the Church is most commonly effected through the activities of its members, but Tracy recognizes that at times it also uses its “institutional weight” and moral stature in a more direct way. Tracy’s theologian is a member of all three publics – she is a citizen, an intellectual, and a believer. Central to the theologian’s membership in all three publics is her participation in these different conversations. The wider society, the academy, and the church are not only voluntary associations, but communities of conversation that the theologian engages with. The theologian is in fact responsible to each of these three publics. Further, each public, as a community of conversation, has particular rules, criteria, and modes of reasoning. Each, in a sense, has its own conversation. Thus the questions of instrumental and practical reason of the wider society differ in certain ways from the demands of intellectual inquiry in the academy or of creative fidelity to the tradition in the church. The theologian, as responsible to all three, has a certain calling to adjudicate and, in a sense, balance these various arguments and claims. Tracy maintains the traditional assertion that faith and reason do not contradict one another as a signal example of the theologian’s role in placing the wider society, the academy, and the church in genuine conversation with one another. Tracy’s theologian, therefore, does serve God and neighbor, but more specifically she does so through a commitment to participating in a public conversation about the very questions of meaning and purpose that all people, in some way or another, ask in their everyday lives. Any specific theologian may of course find her or himself focusing more on the conversation with one public over another at different times and in different contexts. 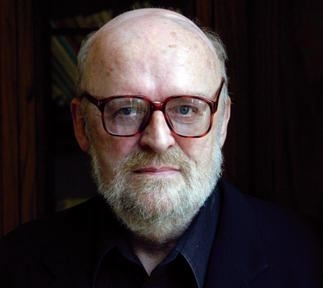 More broadly, however, the theologian serves the publics of the wider society, the academy, and the church; through this, the theologian serves God and neighbor. Thanks Steve for bringing in Tracy (who we might see as being the inspiration for theological shark week). The public role (and responsibility) of the theologian is definitely something we need to reclaim. Do you remember a certain Jesuit teaching us how to deal with reporters? I think there is a need to include training on how to be public in the study of theology. I think I know your answer to this, but would you consider the academy strictly as the university or participation in professional societies? What about bishops, pastors, and others who might be doing theology without a PhD or who are in other church roles? THanks for your questions Kevin, I greatly appreciate it. For Tracy, the academy is not strictly limited to the university setting; he does include professional associations, conferences, organizations like the CTSA, etc. Also, after The Analogical Imagination (particularly in Plurality and Ambiguity), he is even more aware of the importance of “ordinary” religious experiences and persons. It seems possible to me that Tracy might concede that the academy is not limited to professional intellectuals, but is more broadly accessible to those who are participating in the academy’s conversations and, more importantly, are upholding their commitment to the values of ethical inquiry and to the rigorous standards of evidence, criteria, and argument. Yet in effect, his examples and his emphasis tend to focus on professional intellectuals. I think Tracy would more likely situate the vast majority of “bishops, pastors, and others” in the public of the Church as theologians who are primarily conversing with that audience. While there was not space in this post (or this reply) to get into Tracy’s subdisciplines of theology, the distinctions among fundamental, systematic, and practical theology are especially helpful for understanding the relationships among the publics. Maybe I’ll do that in a future post.